Remember when you had someone pick out your outfits for you to ensure you left the house looking presentable? Remember how many people told you how much they loved your outfit? How old were you?30? Thankfully I have one stylish sister, who has a great eye not only for design, but also makeup, hair, and fashion who still helps me pick out my clothes so I leave the apartment looking my best. When I graduated college it was my younger sister who taught me how to buy and apply makeup. It was my sister who helped me in my endeavor to learn how to use a curling iron. 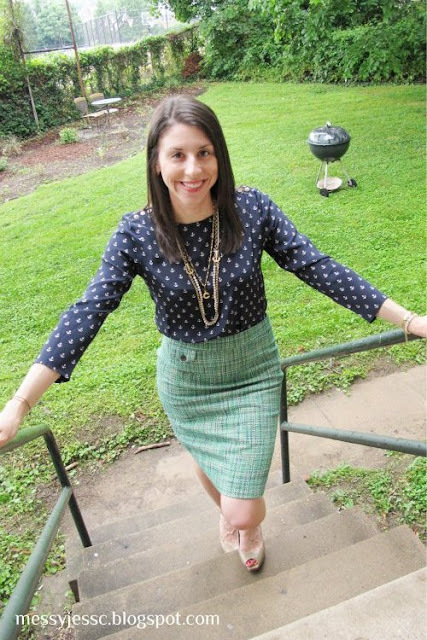 My sister helped me make the transition from a Salvation Army wearing mess to a young professional, and many years later, she is still helping me pick out my clothes. My sister helped me pick out my wedding gown and bridesmaids dresses last year and today, she picked out this outfit for me to wear. 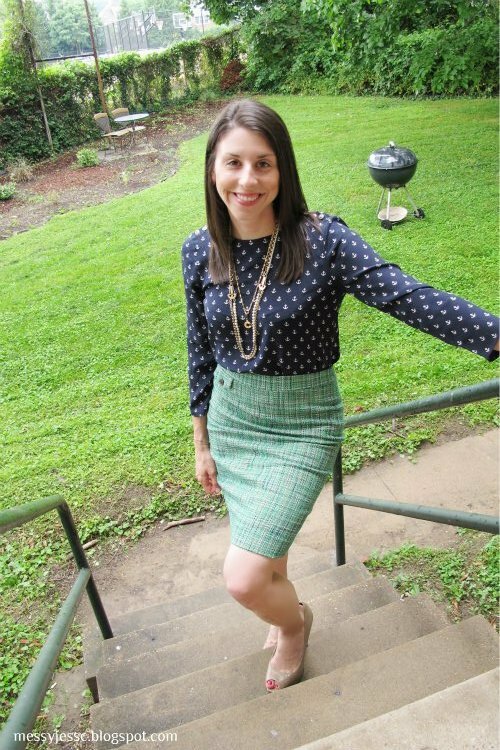 I love the mixture of this tweed skirt with the anchor blouse, but I never would have put these two together on my own. Aw, sisters are the best! She did a great job. Thanks Sharon! Hope you had a great vacation. Can't wait to hear all about it.